Feng Yi Fu Technology Ltd. was established in 1995. We specialized in manufacturing various kinds of amusement game machines, and especially focused on coin-operated machines and its accessories. 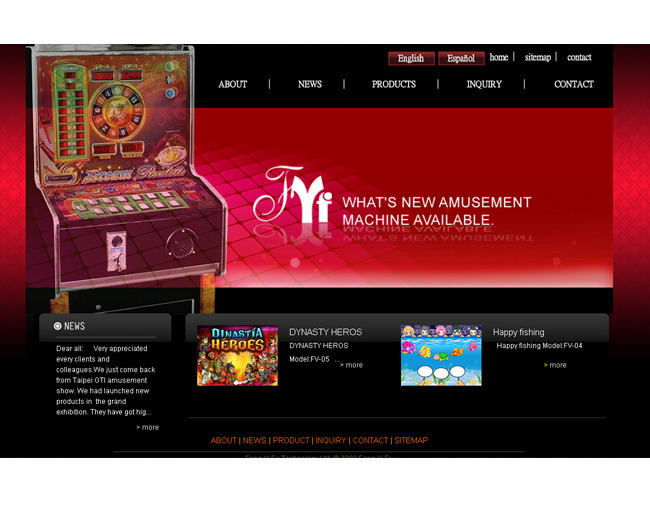 With over decade's experience, we are one of the leading amusement machine manufacturers in Taiwan. Our team has been working in the game board field for years. Our extensive R&D helps us control quality and remain competitive in our industry. 網路行銷服務中心 版權所有 © 2012 網路行銷中心-益林事業 All Right Reserved.